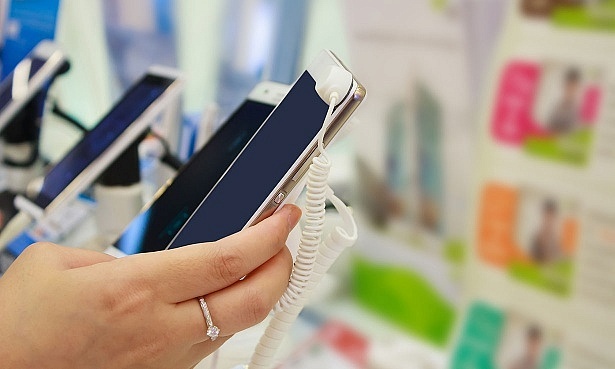 Amidst the growth of Chinese electronics brands, Xiaomi has joined the likes of Samsung and Huawei in the race to take a piece of the UK smartphones industry. Xiaomi is a global electronics brand founded in China, and has been plying a fair trade in European consumers for its other electronic products such as TVs, smartwatches and tablets. It’s a major player in Asia, particularly China and India, and is now looking to build on its success over here. Reports from IDC (2018), show that Xiaomi’s market share has increased two-fold since 2017. This is enough to make it the fourth largest smartphone manufacturer behind Samsung, Apple and Huawei, and underline the fact that, while it may be new to the UK, it’s far from new to mobile phones. Xiaomi smartphones are typically budget to mid-range, with a limited number of premium devices. As we’ve seen with rivals such as Huawei and Honor, there’s a real focus on great specs at low prices, but as we’ve seen before, specs don’t always translate to great performance. Does Xiaomi have what it takes to rival the big players in the UK? Check our Xiaomi Mi 8 review and Samsung Galaxy A9 review for the full verdict, or read on to see how these phones measure up. See if either of the new entries made our coveted list of Best Buy smartphones. 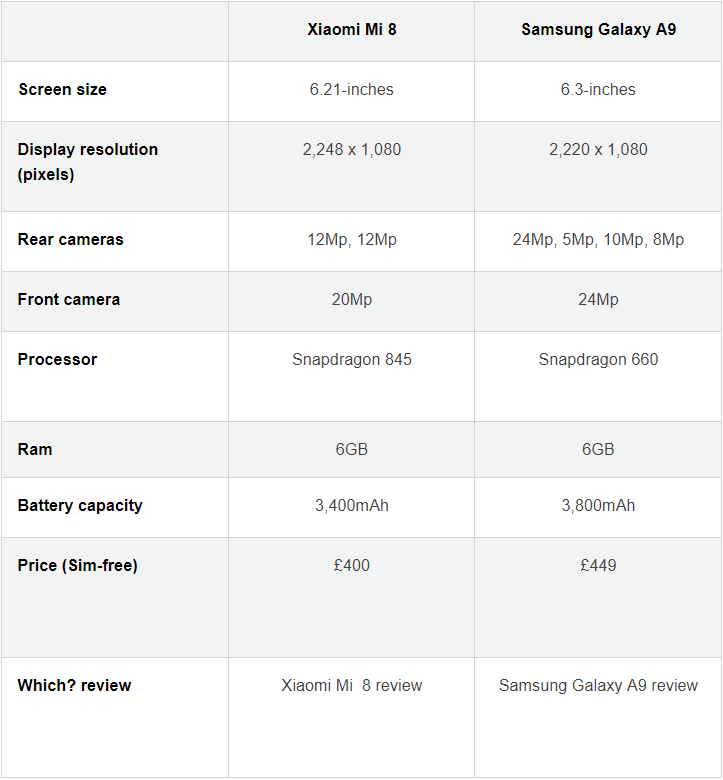 Looking at some of the key features, we’ve pitted these two high spec smartphones against each other to find out, on paper at least, which comes out on top. These two smartphones are extremely close in price – only £49 separates them. The Xiaomi Mi 8 takes this one, just about settling into the mid-range price point. The Mi 8 is one of the pricier phones in Xiaomi’s Mi range, likely due to the fact that this is its 2018 flagship launch. The Samsung Galaxy A9 on the other hand, falls just into the premium category, joining the likes of the OnePlus 6T at the bottom of the premium price range. This is a close call. The Samsung Galaxy A9 just about takes the title on this one, with a 6.3-inch display screen to the Mi 8’s 6.21-inches. Both models have the same screen type, boasting a Full HD+ AMOLED display. 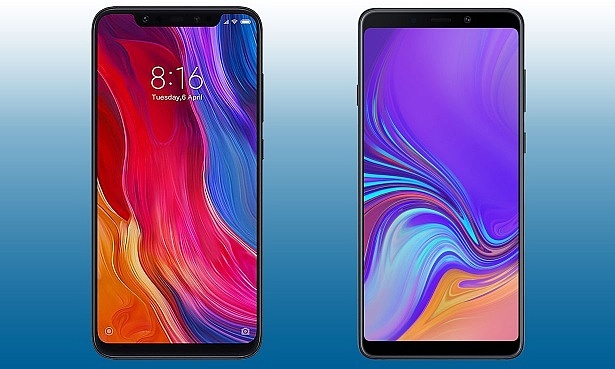 Although the Mi 8 has a slightly smaller notch at the top of its screen than the Galaxy A9, neither has a completely bezel-less display as you may find on a pricier Huawei smartphone, for example. Here is where that extra £49 could really make a difference. The Samsung Galaxy A9 leaves the Xiaomi Mi 8 in the dust with its quad rear camera; it comes with 24Mp, 5Mp, 10Mp and 8Mp camera lenses, all of which are designed to work together to produce perfectly balanced images. The Mi 8, on the other hand, comes with a dual 12Mp rear camera lens that’s AI powered and features optical zoom. Comparing front lenses, there’s very little in it, as the Galaxy A9 has a 24Mp lens whereas the Mi 8 has a 20Mp lens. It’s clear who wins on paper here, but check our full review to see who comes out on top in our tough tests. Once again, the Samsung Galaxy A9 comes out on top with a bigger battery. The 3,800mAh here clearly beats the Mi 8’s 3,400mAh battery. There are different types of fast charging on offer though, so capacity may not be everything. On paper, the Samsung Galaxy A9 ticks more boxes than Xiaomi, but there’s no doubt the Mi 8 does have some impressive specs of its own. As we know from our testing, better features don’t always mean better performance. Read our reviews of the Samsung Galaxy A9 and Xiaomi Mi 8 to find out whether our testing showed the same result. Which tech brands should you avoid? Read our guide on the most reliable smartphone brands. With so many new brands entering the smartphone market, choosing the right smartphone is no longer a simple question of ‘what’s the newest phone from Apple or Samsung?’. There are a few criteria which can inform which phone you buy, so we’ve outlined some of the most important questions to ask yourself in our guide on How to Buy the Best Mobile Phone. 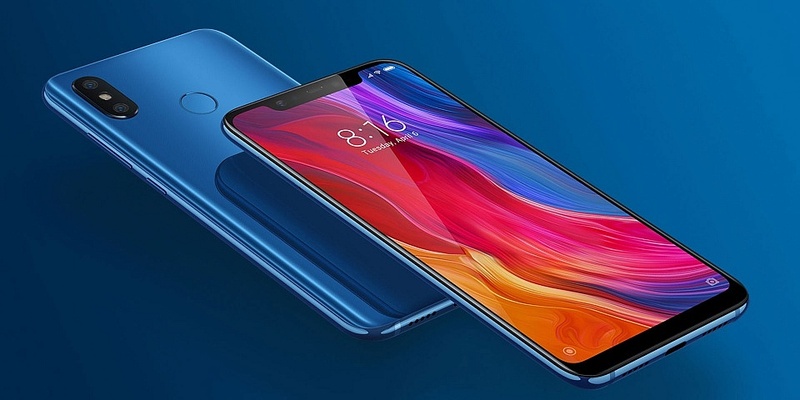 As Xiaomi is taking its place as a brand to watch in the UK, it has positioned itself with mid-range offerings to compete with the likes of Honor and Samsung. But shopping around is always useful to find your perfect fit. So we’ve rounded up some of the Best mid-range mobile phones to help you narrow down your search.